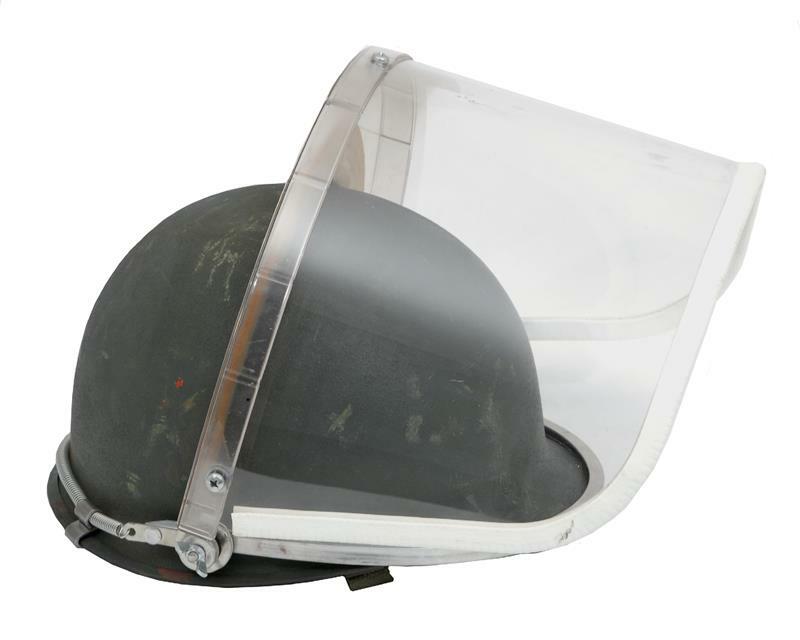 Riot Face Shield, Unissued, Fits U.S. M1 Steel Helmets | Gun Parts Corp. Unissued Canadian military surplus. Plexiglas face shield with pivoting attaching hardware. Fits over standard U.S. M1 steel helmets. Photo shows the face shield attached to a helmet for visual purposes only, helmet is not included. Note: Shield may show minor scuffing from prolonged storage.